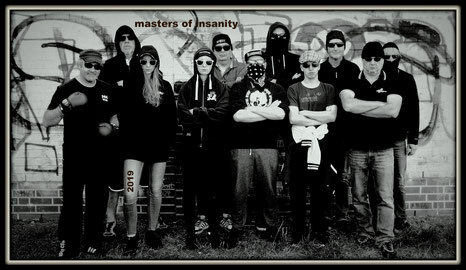 24-Stunden-Rennen in Italien 2013 - Masters of Insanity - Slotcardominanz aus Brandenburg! Viele von euch haben mit großer Spannung das diesjährige 24-Stunden-Rennen in Italien an den Bildschirmen verfolgt und den Masters kräftig die Daumen gedrückt. Jetzt ist es wieder soweit: Die Voranmeldungen für das Rennen im April 2013 sind raus und die Masters sind auf P02 zunächst als Teilnehmer geblockt. Aufgrund der Vielzahl der im nächsten Jahr teilnehmenden deutschen Teams, wird nun die Startgebühr von 250€ fällig. Alle Interessenten sollten sich daher schnellstmögich mit der Rennleitung unter der bekannten Mail-Adresse huacarl@web.de in Verbindung setzen! Die Rennleitung wird zudem ab 21.07.2012 wieder persönlich für Testsessions, Terminabsprachen und alle weiteren Fragen rund um das 24-Stunden-Rennen in Italien am Racetrack Großbeeren zur Verfügung stehen. I'm amazed, I must say. Seldom do I come across a blog that's equally educative and amusing, and without a doubt, you've hit the nail on the head. The problem is something which not enough men and women are speaking intelligently about. Now i'm very happy that I found this in my search for something regarding this. First off I want to say terrific blog! I had a quick question which I'd like to ask if you do not mind. I was interested to find out how you center yourself and clear your head before writing. I have had a hard time clearing my mind in getting my ideas out there. I truly do enjoy writing but it just seems like the first 10 to 15 minutes are usually wasted just trying to figure out how to begin. Any ideas or hints? Cheers!